Click here to visit Robert Shaw's site for sales of outstanding contemporary art quilts. Joan Schulze, Robin Schwalb, Susan Shie, and Ludmila Uspensakaya. Also offering choice quilts by Michael James, Therese May, Hystercine Rankin,Pamela Studstill, and many other superb artists. The first truly comprehensive history of quilts and quiltmaking in the United States. —Bernard L. Herman, George B. Tindall Professor of American Studies, University of North Carolina, CHOICE, May 2010. "Surely the most important quilt book ever." "So outstanding that words practically fail me." Art Quilts: A Celebration is a beautifully designed and printed compendium of quilts from the past decade of Quilt National exhibitions, from 1995 to 2003. 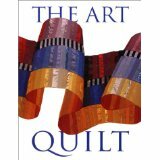 I contributed a substantial introduction that traces the history of quiltmaking and puts the quilts in the book into context, as well as a special section on collecting, displaying, and storing art quilts. The book includes photographs of more than 400 quilts. The spectacular full page color photographs accompany the artists' illuminating personal commentary. 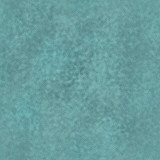 Soft cover, 512 pp- 8 1/2 x 11. At $24.95, this is a lot of book for the money. 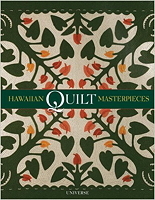 First brought to the islands by missionaries and traders in the late 19th century, quilting in Hawaii adapted to the physical and cultural environment of the islands to become a distinctive art form. The earliest quilt in this collection of Hawaiian masterworks dates from 1874 and the most recent from 1995. 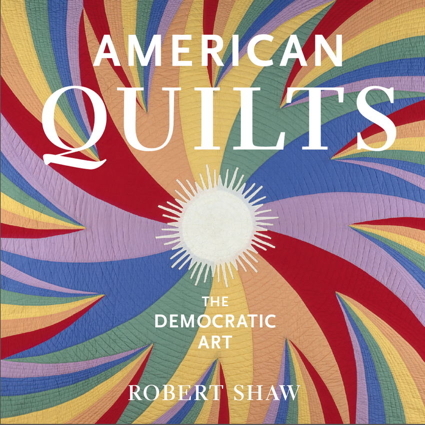 Following the format of his earlier Quilts: A Living Tradition, Shaw includes a detailed color photograph, a historical introduction, and a critique for each of the 48 quilts. Essential for textile history collections." Hardcover, 12 x 9 in., 120 pp., 50 full-page color photos. "With the appearance of this gorgeous and ambitious book, it seems unlikely that quilts could ever again be dismissively assumed to be staid, quaint, bound by tradition, or strictly utilitarian. The Art Quilt is an art-lover's treasure, a quiltmaker's bible, and a collector's reminder of all the wonderful quilts yet to covet." "This volume stands out amid a plethora of books on the history of the quilt, not only for the richness of its carefully chosen illustrations but also for the wealth of information it conveys. Highly recommended." Hardcover, 14 x 11 in. 312 pp., over 300 color photos. Hugh Lauter Levin Associates, 1994. ISBN: 0-88363-395-7.